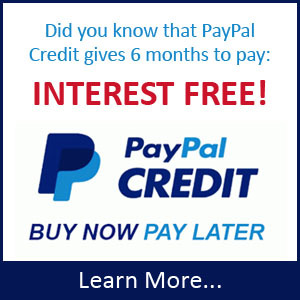 Add to Cart and Checkout normally using all of the Canadian Business details. Our website will automatically assign you RETAIL status, which means you won’t be able to get the “No Exchange Rate” shopping just yet. At that point you can begin to purchase products on www.GroomersHelper.com with no exchange rate: $1 Canadian will equal $1 United States. Not all products/brands are available for discount purchase through the Canadian Groomers Club™. This will happen automatically. To qualify to be a member of the Canadian Groomers Club™ you need to be a groomer who gets paid for grooming other people’s pets in Canada. You need to live in Canada. That’s it! There are no requirements to purchase a certain amount of products. You can groom 10 dogs a day or 1 dog a week, it doesn’t matter. As long as you are a professional pet groomer in Canada you can get the discounts available through the Canadian Groomers Club™. Canadian Groomers Club™ members cannot purchase products for the sole purpose of reselling them. If you are interested in becoming a distributor please contact our corporate offices directly at: 1-609-350-6480. *Discount does not apply to products that are already on sale, are consider a special, or already discounted. 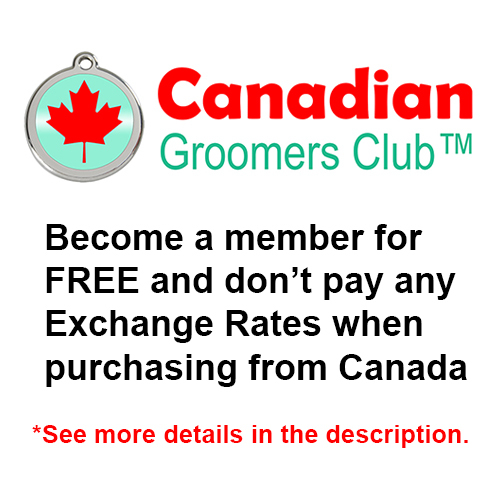 **Canadian Groomers Club™ discounts are intended for the club members use only. Purchasing products for other groomers is prohibited.